My kids LOVE slime! They also love Christmas, but what kid doesn't - am I right? 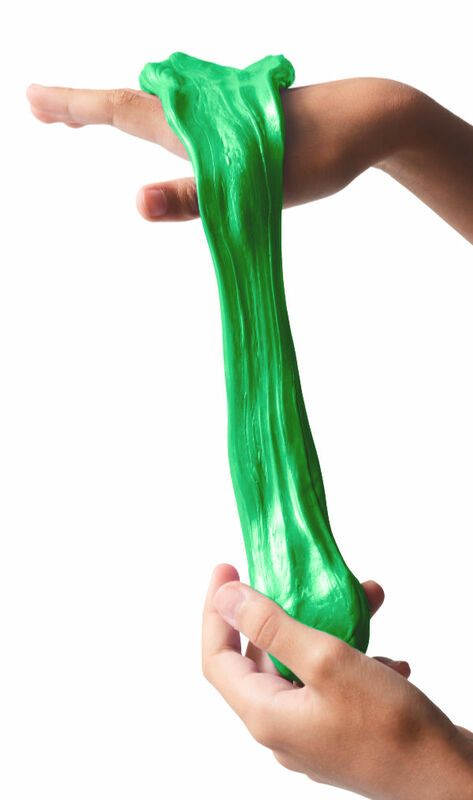 Combine the two this holiday for ultimate slime fun! 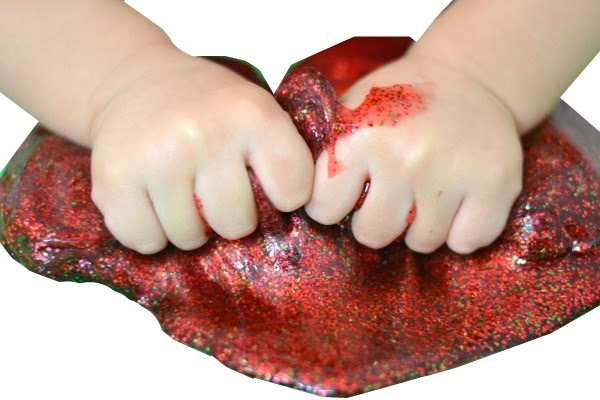 This holiday slime is easy to make, and it smells just like Christmas! Kids will have a blast making "Santa" OozE ,and they will laugh uncontrollably when they discover that they can even make Santa slime farts! 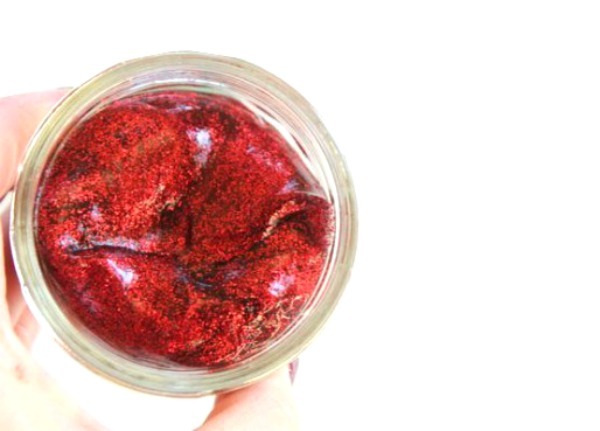 Follow the recipe below to make this awesome slime at home with your kids. Once the ingredients of both bowls are mixed combine both bowls. Knead the ingredients with your hands until a slime-like consistency is reached. Then, remove the slime from the bowl & knead it with clean, dry hands. 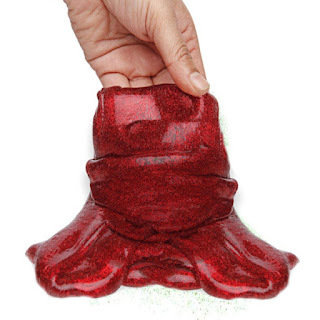 After a bit of kneading you will have slime that smells just like Christmas! 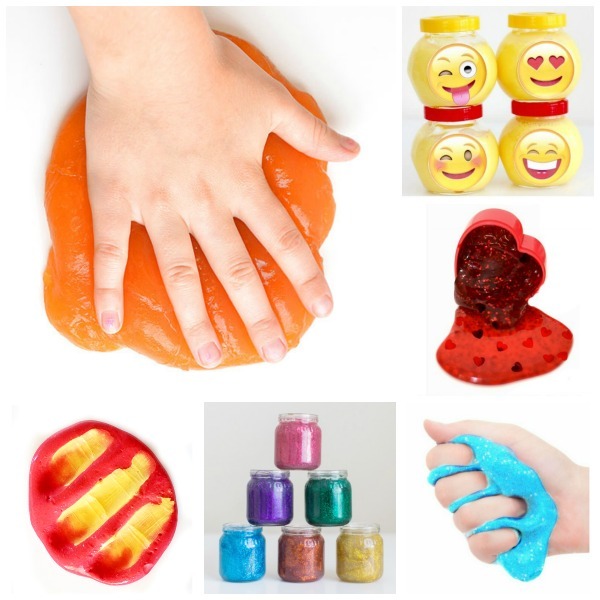 Your littles will have a blast as they stretch, pull, and squeeze this amazingly fun slime! Use craft foam to make face shapes, and kids will have a blast making oozing Santa faces! 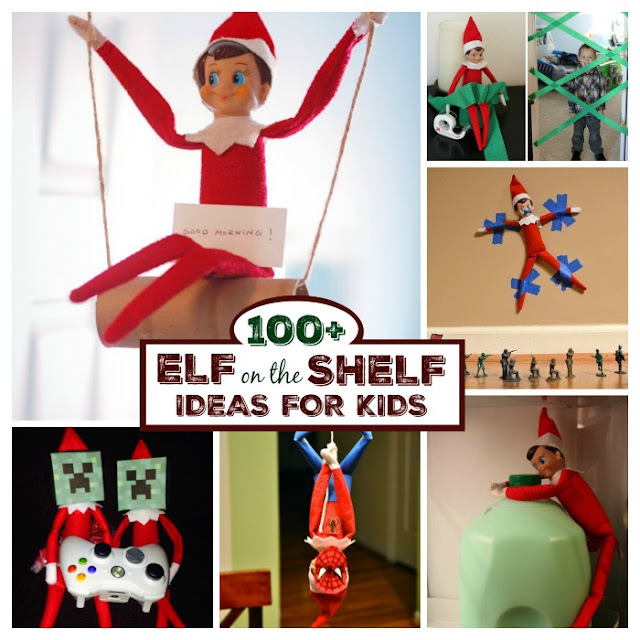 Add a few festive Christmas decorations or cookie cutters to extend the fun. Kids can open up a bakery, make oozing Christmas cookies..... the possibilities are endless! 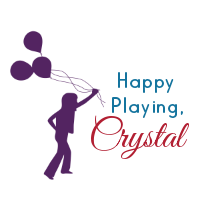 Give kids a small jar or container. We used baby food jars. 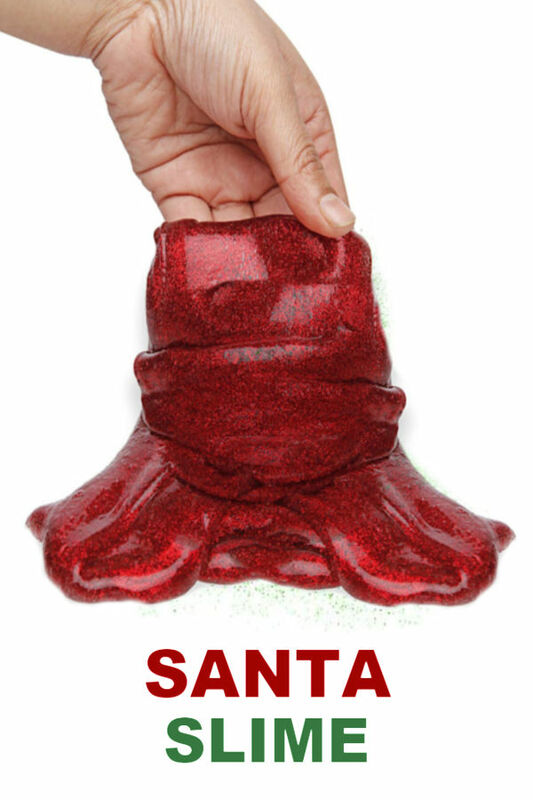 Then, have them squeeze the Santa slime into the jar until they hear "the fart". 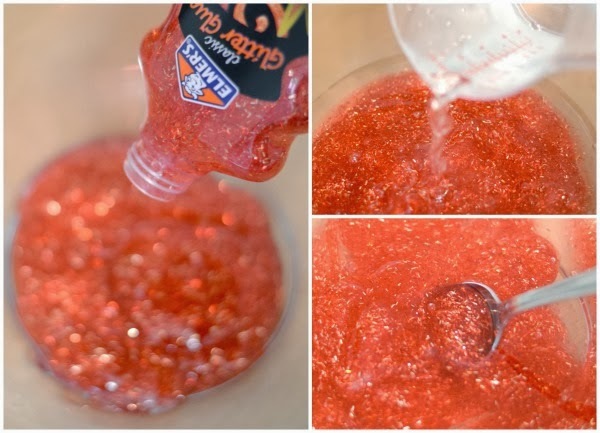 You can also use white school glue when making Santa Slime and add food coloring and glitter to the recipe. 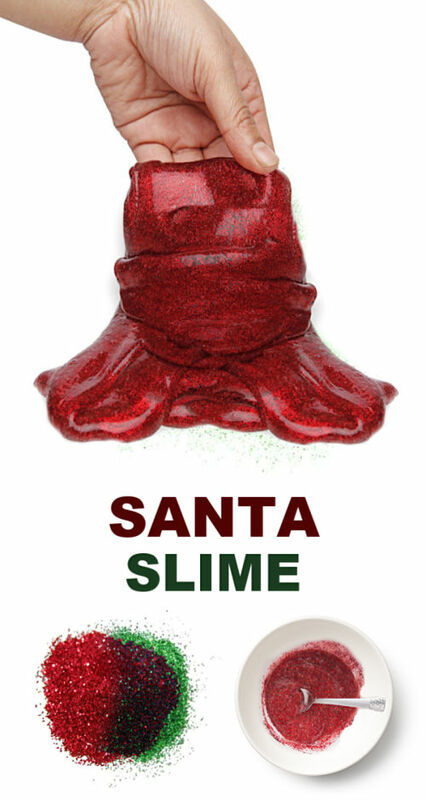 You could also scent the slime using holiday essential oil or another favorite holiday scent. Borax can be hard to find in stores; we get ours on Amazon here.